On January 9, 2019, President Donald Trump informed the U.S. Senate that he was nominating Andrew Wheeler to take over as administrator of the EPA. 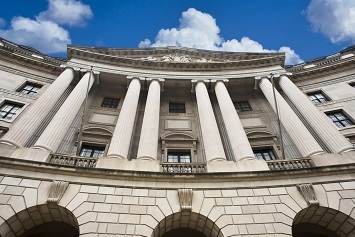 Wheeler has been filling in as the Agency’s acting administrator since early July 2018 when Administrator Scott Pruitt resigned under the weight of ethics controversies. The president announced that he intended to install Wheeler as the EPA’s head in November 2018. Upon receipt in the Senate of the president’s nomination, Senator John Barrasso (R-WY), chair of the chamber’s Environment and Public Works Committee (EPW), said a nomination hearing for Wheeler would be held on January 16. Given the Republican majority in both the EPW and the Senate, it would be shocking if Wheeler did not receive the votes he needs to be named administrator. On August 1, 2018, at a committee hearing, Barrasso encouraged Trump to nominate Wheeler for the administrator role. An attorney, Wheeler, 53, took over as acting administrator with a wealth of experience in environmental law, regulation, and policy. He entered the environmental field in 1991 as a special assistant to the Information Management Division director for the EPA’s Office of Pollution Prevention and Toxics, a position he held until 1995. He then held several staff positions for the EPW, working under Republican Senators James Inhofe and George Voinovich. From 2003 to 2009, he was the EPW’s chief counsel. In 2009, Wheeler entered private practice with the firm Faegre Baker Daniels where his work included lobbying for the energy sector, including Murray Energy, the nation’s largest underground coal mining company. He was still engaged in this work when Trump nominated him to be the EPA’s deputy administrator in October 2017. The Senate approved that nomination in April 2018. Proposed to relax fuel efficiency and greenhouse gas emissions standards for cars. He has also proposed to revoke California’s ability to set its own more stringent standards. Proposed to replace the Obama administration’s Clean Power Plan to control emissions of climate-altering carbon dioxide and other air pollutants from fossil-fuel power plants. The proposal would largely shift regulatory power from the federal government to the states. Proposed to withdraw and rewrite the Obama administration’s Clean Water Rule. The proposed revision would significantly narrow the existing rule’s definition of waters that are jurisdictional under the Clean Water Act and, again, ensure that the states exercise primary authority over the regulation of their waters. Most recently proposed to revise the Obama administration’s 2016 finding that it is appropriate and necessary to regulate toxic emissions from coal- and oil-fired power plants under Section 112 of the Clean Air Act. According to Senator Tom Carper (D-DE), the EPW’s ranking member, each of these actions are completely out of step with what Carper asked of Wheeler at the time of Wheeler’s July 2018 hearing for acting administrator. While Carper and the Democrats will be unable to block Wheeler’s confirmation by both the EPW and the Senate, Wheeler should not expect a friendly reception from Carper at the January 16 nomination hearing.